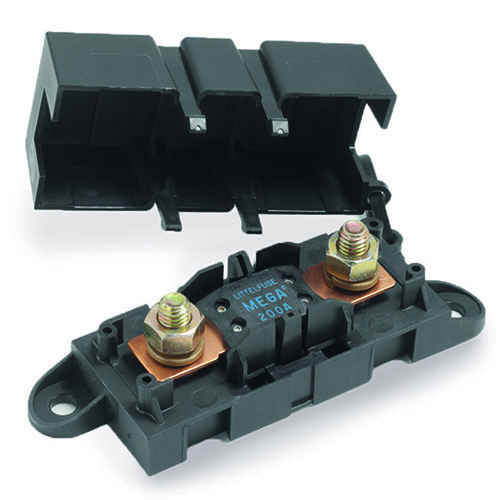 The MEGA® Fuse is designed for high current circuit protection up to 250 amperes. with "Diffusion Pill Technology". The MEGA® Fuse also provides time delay characteristics. Designed and patented by Littelfuse, the MEGA® Fuse is ideal for battery and alternator protection application and other heavy gauge cables requiring ultra-high current protection.